Now in this internet surfing era, it is very important to know and research certain things before you start anything. As we know, there are many training institutes for phone repairing as well. They promise big but delivers nothing. I interview some of the mobile repair course pass out students about their bad experience to join institute and centers students are shown a different picture of the experienced faculty of those mobile phone repair training institutes, highly advanced training environment, flexible class timings, and many more attractive features. But in reality, the painted picture is completely white. So What do Students Do? 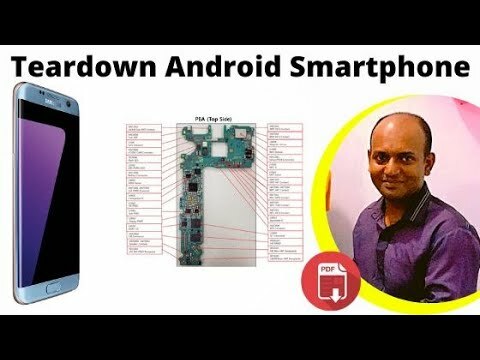 to learn Mobile Phone Repairing skills! Does the institute provide theoretically training or practical is also in the course syllabus? Does the mobile repairing course syllabus totally practical oriented? All the practical required concepts covered in this syllabus? Does the syllabus is covering all the topics that are necessary to repair smartphones? Hands-on experience with different brands of mobile phone models is included in this mobile repairing training? Does the institute course syllabus gives the step by step training so that the basic get clear! for example, mobile internal parts and components identification, PCB layout diagrams reading and How does a smartphone IC integrated circuit work? Does the course have plenty of mobile repairs job case studies which is not available at any of the mobile repair books or courses? note: make sure the institute has all the necessary facilities and mobile repairing tools and smartphone circuits and also meet the Instructor! Meet the trainer to judge him if he is expert smartphone technician and give you his hands-on phone repairs job real-life experience in the training. visit multiple mobile phone repair training institutes near you to Compare the course fees and how the repair course syllabus will be beneficial for your future in the order to get you a job after the completion of the course. Does Smartphone Repair Course Certified Pass Out Students Get Immediate Jobs? joining the smartphone repairing course today is the best growing option because the market for smartphone and its repairing is continuously rising. it is advised to enter the field just experience the boom in your career. work hard to learn more and improve your skills to repair lots of mobile phone in minim time, all these abilities create you to ready to deal with on job perform without any problem and be a smartphone repair professional. yes, it is possible for you after doing a mobile repairing course with some month practice on faulty smartphones you will get a job in the existing mobile service center, mobile phone stores in your country.nowadays in mobile markets many shopkeeper owners choose to hire someone with experience to manage the smartphone repairs work. because they are too much busy in cell phone sale purchase business. Now with the small investment, you can open your own cell phone shop because nowadays in mobile markets oppo, vivo & Samsung companies providing a free shop counter and free mobile sale service to open a shop. in mobile repairing training at the shop you can learn how to run your own mobile shop, phone repair secrets professionals don't want you to know and what should you have to learn before opening your own mobile repair business.with the Low investment, you can Start the great business with present time and earn lost of money.now you can earn 30,000 to 50,000 per month with your own shop. MRO Start a business with low investment idea prepares students in line with the needs of the mobile market producing professionals technicians who are technically competent, confident and charged to meet the challenges of the mobile industry and carve their own career paths in an extremely competitive mobile market of today in their country. Due to MRO Mobile shop business plan emphasis on 100% Practical Professional Education, thousands of our online certified students have started their own in various areas of Karachi and all over Pakistan as well as overseas in countries including France, Austria, Ukraine, Greece, Netherlands, Spain, United Kingdom, United States, Mexico, Canada, Malaysia, Japan and the Middle East. Mobile Repairing Online Institute is considered as the best online institute for the smartphone repairing course practical training in Pakistan. It provides training in a step by step systematic way and teaches the professional method of repairing smartphones screen, touch, charging ports, battery drain, short circuit, water damaged and LCD backlight faults with the help of practical case studies of smartphone repairs job. Students from different areas of Karachi like Hyderabad, Larkana, Mirpur Khas, and Sindh learn online smartphone repairing course at MRO Institute. It also has trainees coming from nearby places like Punjab, Multan, Lahore, Islamabad, Quetta, Abbottabad, Faisalabad, Balochistan and other states of Pakistan. Mobile Repairing Online has also enrolled Students in past year from Afghanistan, Iran, and middle east countries. Once you decide to do the course with mobile repair online institute, try to grab maximum knowledge about a phone's hardware, software repairing syllabus. Have a look at the online course highlights for more information.we conduct mobile phone repair training courses for people who cannot attend regular classes in mobile repair institutes and become the certified smartphone repair technician. These courses is a distance learning, teacher, and student's face to face online video chat, home study, good opportunity for cell phone and computer laptop sale purchase shopkeepers to easily learn in part-time at their own location via online video chat. This course is also preferable for people from the technical background and mechanical engineers, women how love to do technical work can also join and learn the required skills to repair their own smartphones. Google Android, Apple iPhone, and Samsung smartphone repair is also a very good option for students who do not succeed academically or want to study further. There is a lot of scope in phone repairing field. 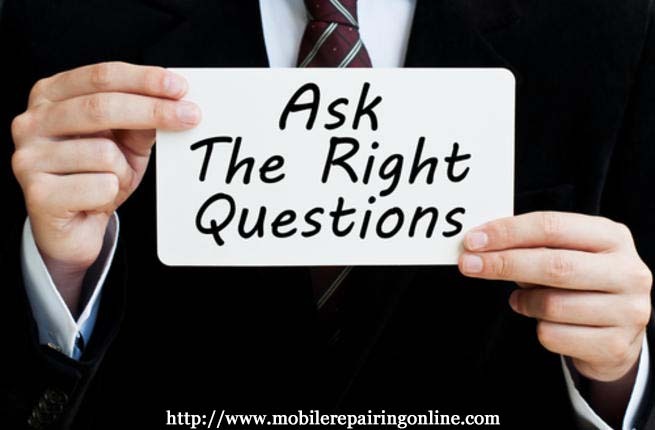 They can either work as a technician or open their own repair shops with very little investment as I tell in the article.Get contact details according to your location and address of mobile repairing course practical training institutes in Pakistan. find best information such as courses use this powerful catalog to know more, you 'll agree with me when I say: it's really hard for a student who doesn't make enough money to complete his academic education and supports his family pay bills and survives to live comfortably. I hope this article helps the students who wish to do mobile repair course and gain the technical expertise to seeking another source of income, Those students should take advantage of the courses to make a living out of it. The candidates for the training should be able to make a career in it be it part-time or full time. I have been a smartphone technician for 10 years now. I own my cell phone store and online institute here in Karachi Pakistan, and I've been receiving great amounts of requests to share my experience. so I decided to write this article for helping students. So far, I've been pretty successful or not? Please leave a comment below, and let me know what you think! We'd love to hear from you.